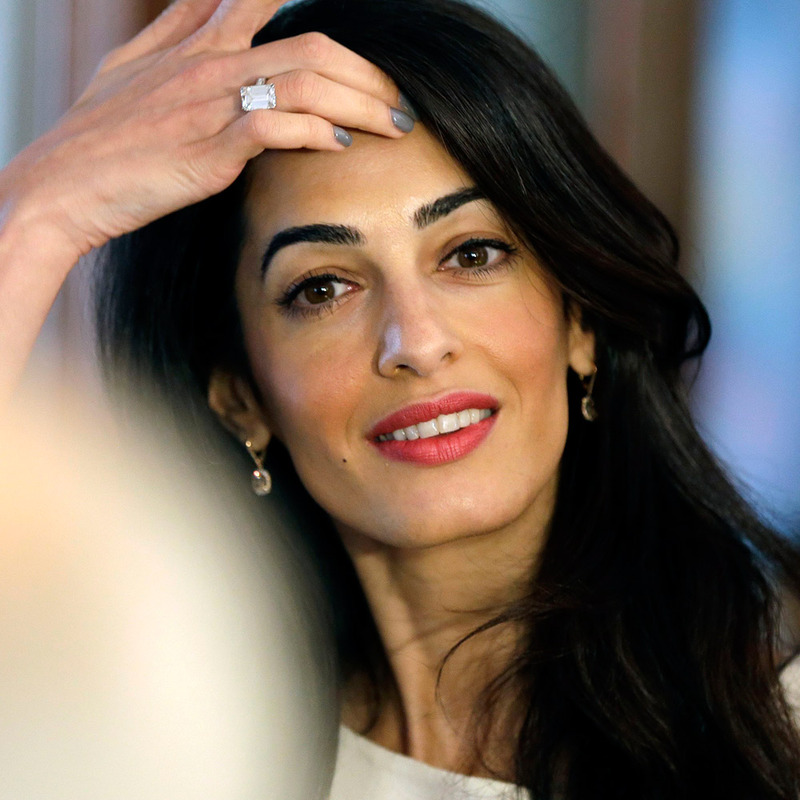 Amal and George Clooney with Ella and Alexander are back in the US ! 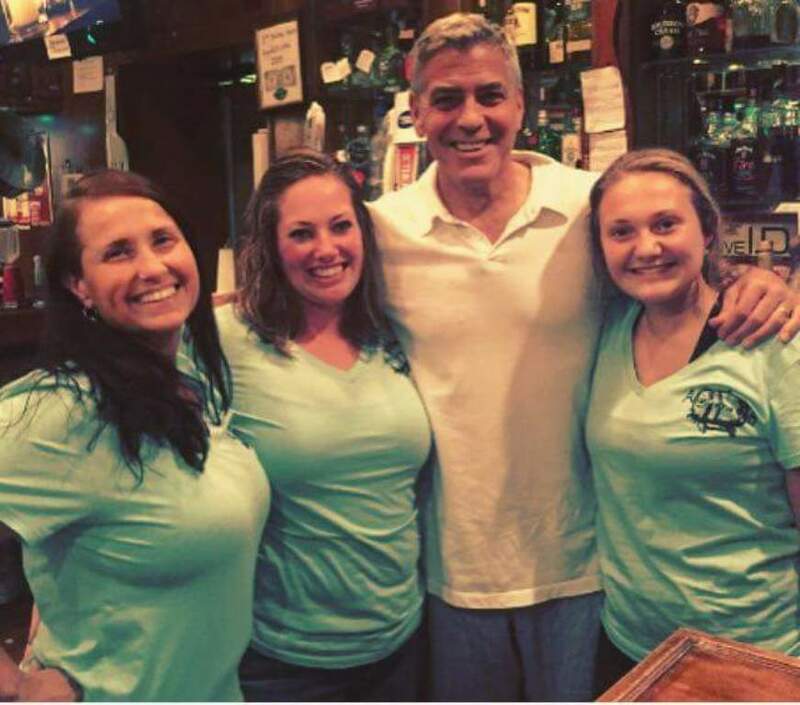 They visited the Augusta Irish Pub. 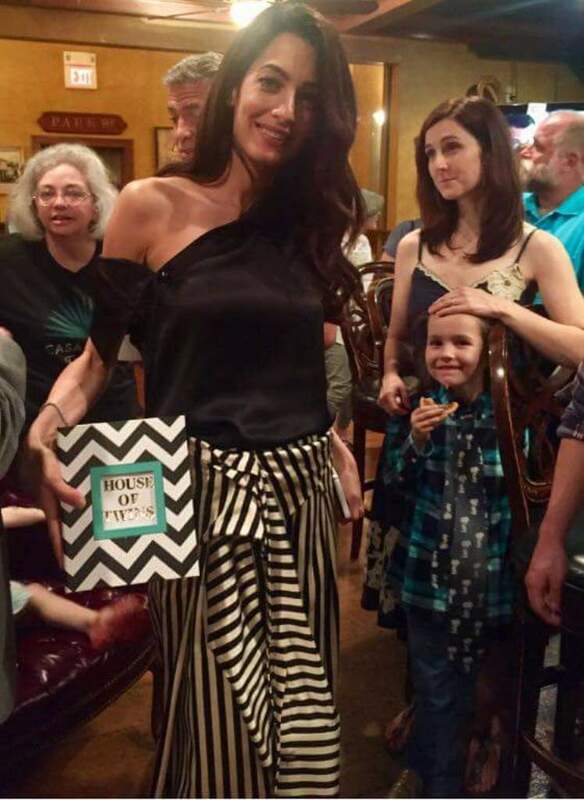 Amal Clooney received as gift a photo album for her children. 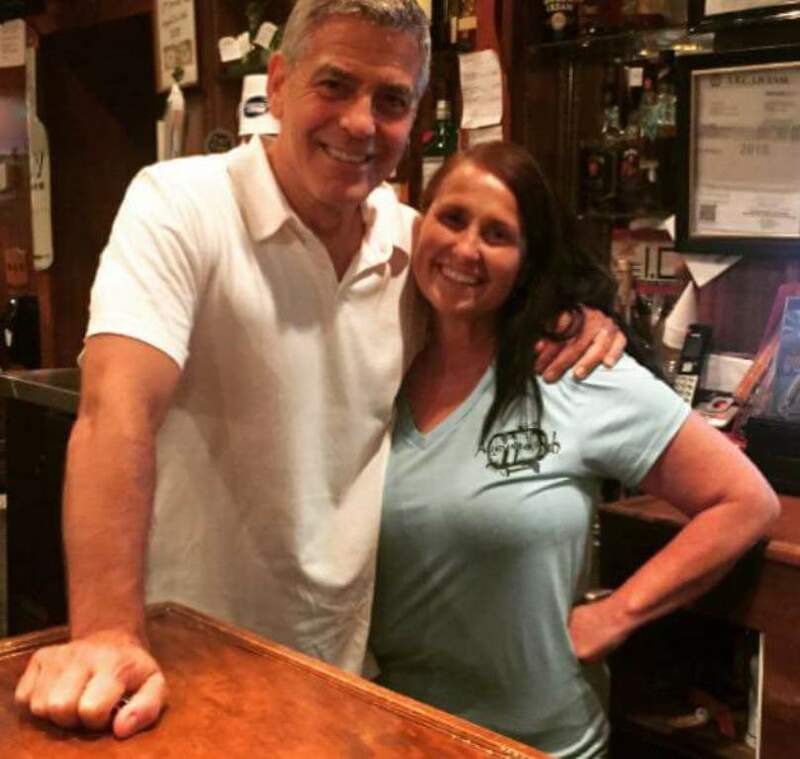 In the background you can see George Clooney’s older sister, Adelia Zeidler with a Casamigos t-shirt. Amal Clooney wore the same Monse outfit as leaving Venice. She looks so much younger and fresher without all that heavy makeup on. She looks 15 years younger here. 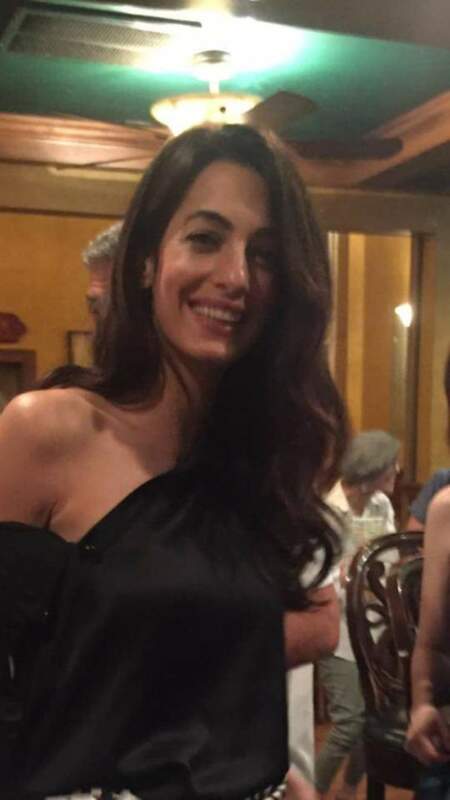 Amal looks great and has a wonderful smile. She doesn’t need make-up at all to be beautiful.